When gaining or losing considerable amounts of weight in a short space of time, the skin on your body often loses elasticity and develops silvery, shiny lines known as stretch marks. These are most commonly found on the hips, thighs, buttocks, and stomach. They can also occur on arms, legs, or the lower back. 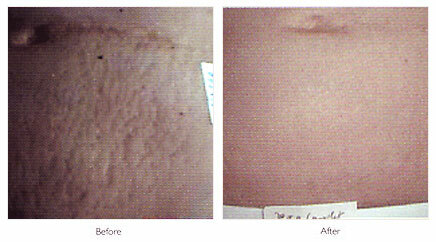 One of the most common reasons for the development of stretch marks is pregnancy. Our treatments are combines to contain the complete proteins that are needed to help rebuild the skin's structure, and minimize the look of unsightly stretch marks. This has the added benefit of improving the look and feel of the skin in its entirety, including making the stretch marks look less obvious. As with all of our treatments, we will undertake a full body consultation before we carry out any procedures on you. We will also recommend products to look after your skin post treatment. Don't worry about feeling any pain - the needles used to administer the Botox are extremely fine, and our consultants are highly practised in carrying this procedure out. Therefore most people that have experienced Botox injections would describe the experience as 'mildly uncomfortable' at most. For any other concerns or queries you may have about our stretch mark removal treatments, please visit our contact page to get in touch with us.